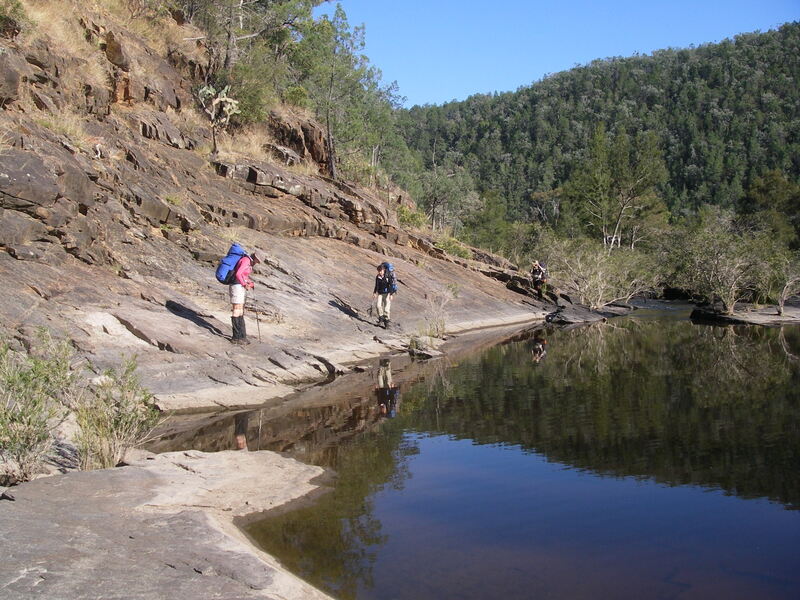 In early May four of my bushwalking friends and I took to the water; swapping packs for paddles, Leki poles for lifejackets and snakes for sharks. 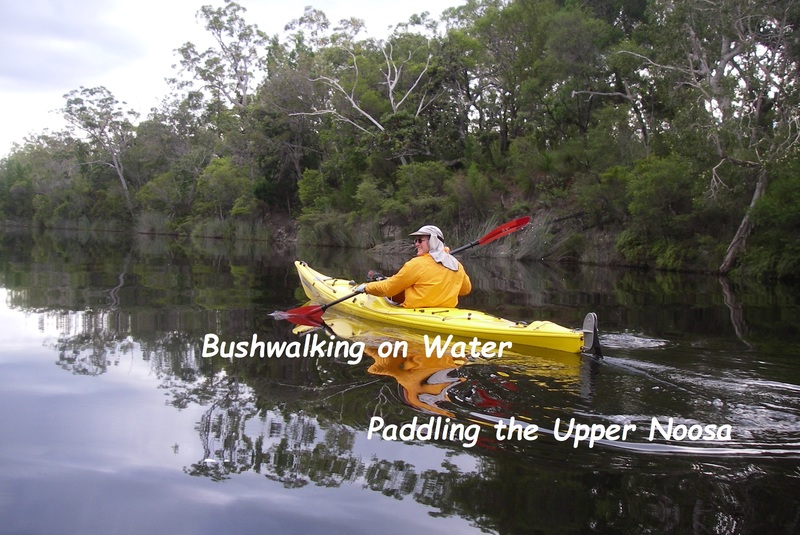 We set out on a four day kayaking trip in the upper Noosa River. 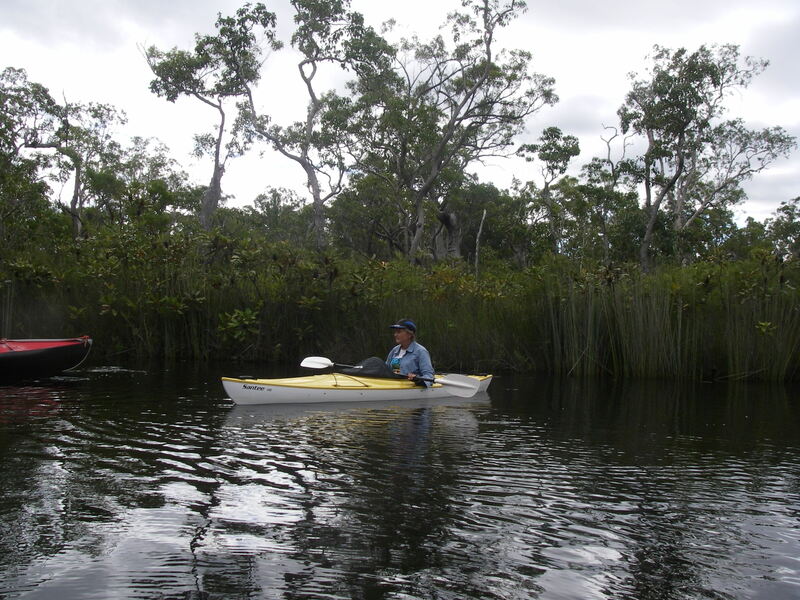 My kayaking guidebook, Andrew Gregory’s “Kayaking around Australia” describes the Noosa River as a “paddler’s paradise…black water under a canopy of paperbarks”. 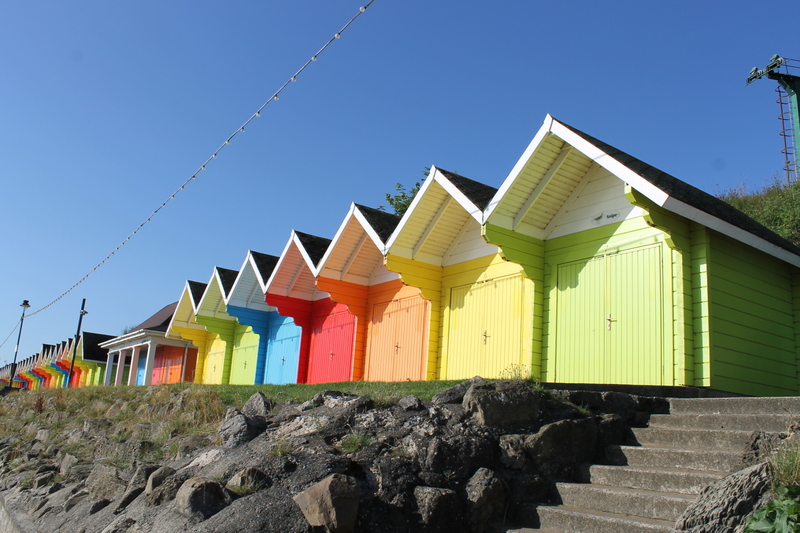 As is the custom with many of our trips this year, the weather prognosis was decidedly dodgy. But my companions Ross, Linda, Damien and Eva were unfazed. So our mini flotilla assembled mid morning at Harry Springs Hut. 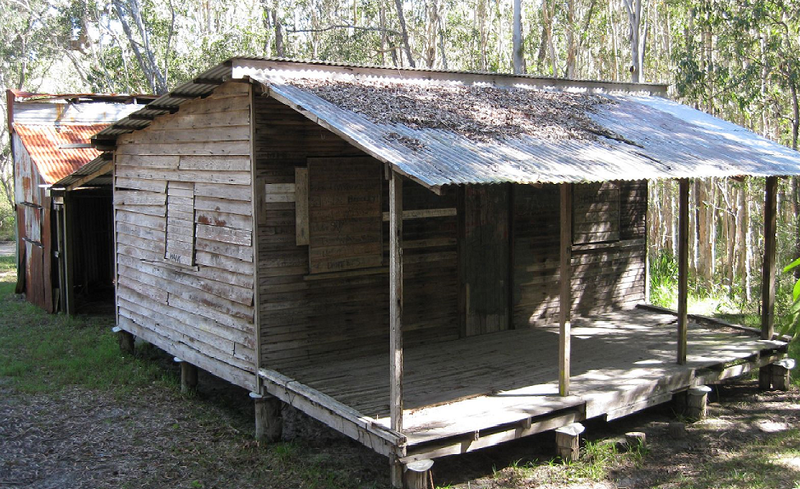 Built in 1957, the hut has had varied usage, first as a base for many of the region’s timber cutters and then as the weekend fishing retreat of local Cooroy pharmacist Harry Spring, who was rewarded with a lifetime lease on the hut once the land was proclaimed a national park. 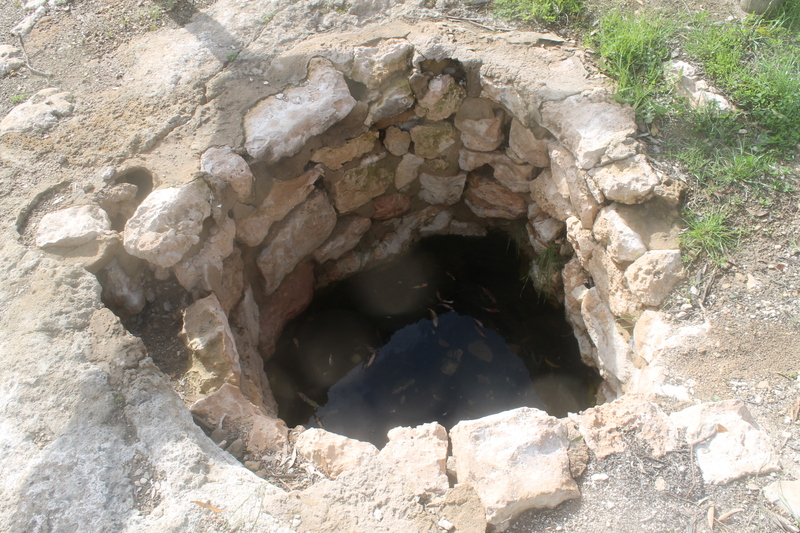 He passed away at the age of 94, but Harry’s little piece of history is now a protected cultural heritage site. Damien did a bit more assembling than the rest of us – he put together his three metre Folbot: think of those fold up commando kayaks from World War II or the collapsible canoe that the writer Paul Theroux used to paddle around the SW Pacific in writing his book “The Happy Isles of Oceania”. Eva appeared punctually at our launch site after having done some hard yards the previous day, paddling up from Elanda Plains in her little Santee river touring kayak. Photo Gallery: Upper Noosa River. The three hour paddle to campsite 13 was dampened somewhat by the arrival of the promised rain. But these were mere showers … a minor irritant as we settled into the spacious campsite 13 with our own sandy beach front, private swimming pool and, no doubt, the occasional lurking bull shark. Tarps kept the evening showers at bay, but not the miasma of mossies. Ever prepared for all eventualities we circled up the mossie coils…which did the trick. Tuesday dawned fine, cool and slightly cloudy. Ideal kayaking conditions. We ventured upstream to check out Teewah Creek and the head of the Noosa River. 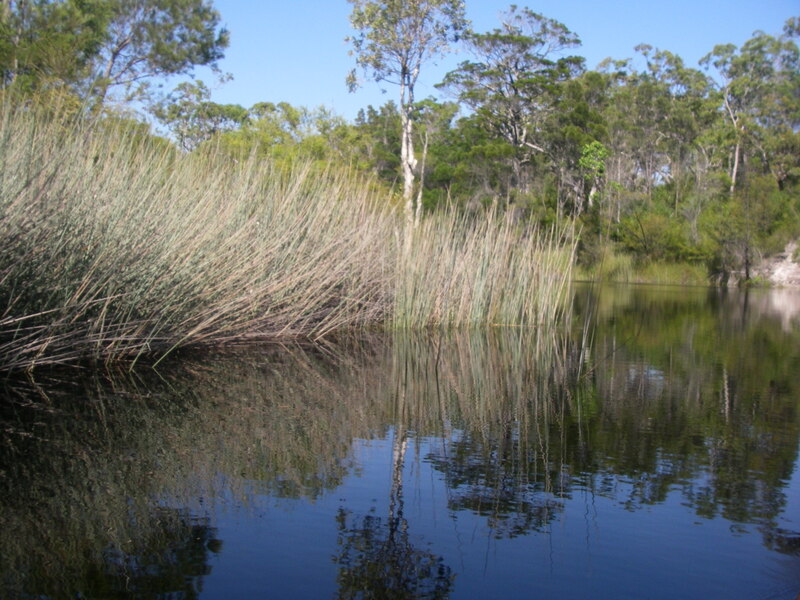 Teewah Creek rises in the high dunes just south of the Rainbow Beach road and does a lazy meander in a SSW direction to its junction with the upper Noosa. I have occasionally encountered hardened paddlers coming down Teewah Creek, having launched their canoes at Coops Corner about 5 kilometres upstream. Their reports of log jams, fallen trees and portages have not enamoured me of the idea of launching at Coops and paddling downstream. 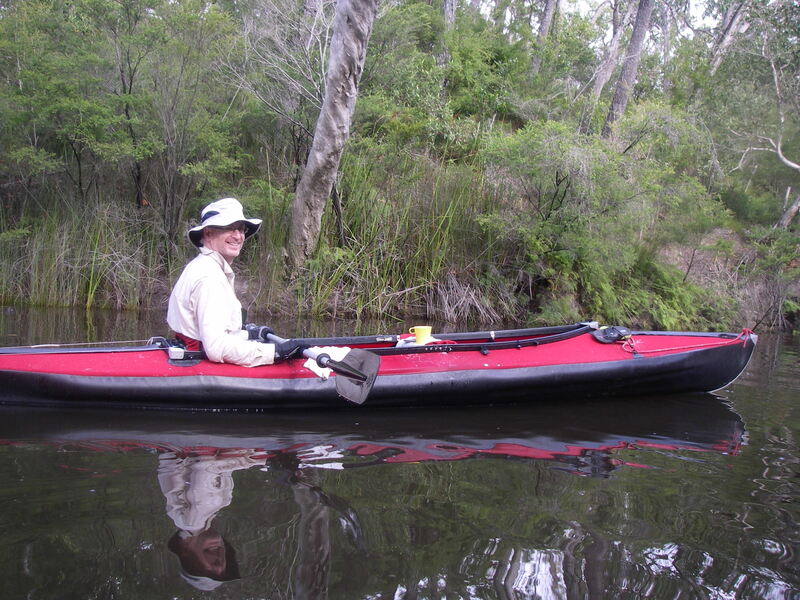 Instead, for us, there was an undemanding but beautiful enfilade paddle up the pristine waterway of Teewah Creek as far as our craft could go. 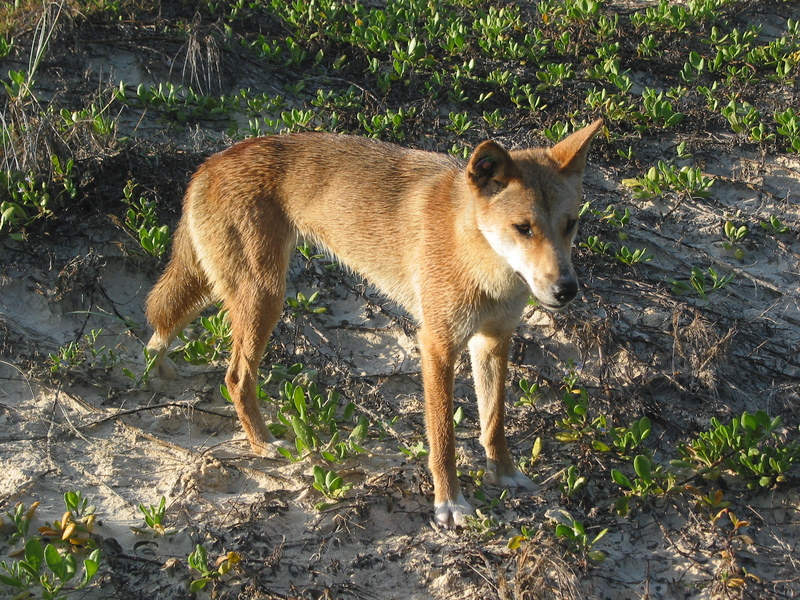 The creek is deeply incised into the swampy sand plains west of the Cooloola High Dunes. Its tannin stained waters ripple over white sands in a kaleidoscope of colours: sometimes clear, sometimes brown but mostly with a reddish tinge. 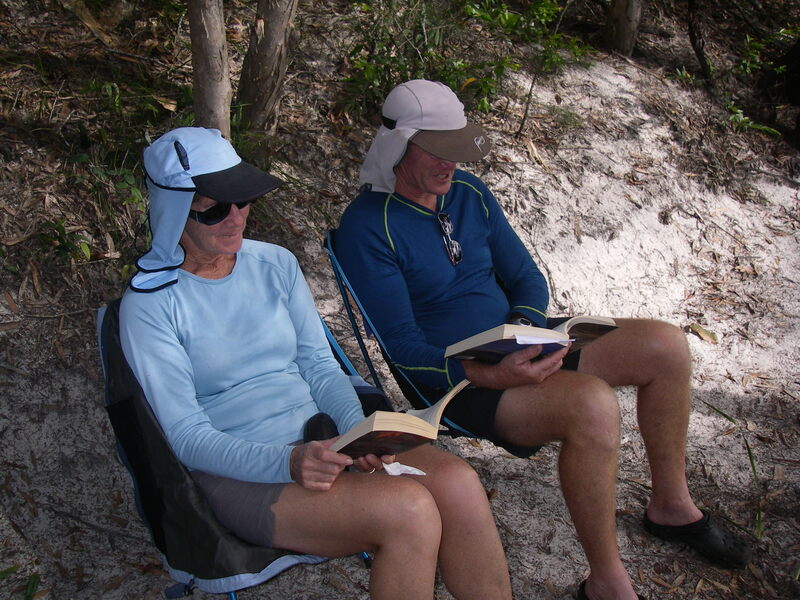 Back at campsite 13 we had a leisurely lunch on our own Costa del Cooloola followed by a lazy afternoon on the beach lounging in our Helinox deck chairs reading and chatting. Wednesday: Today we earn our keep. 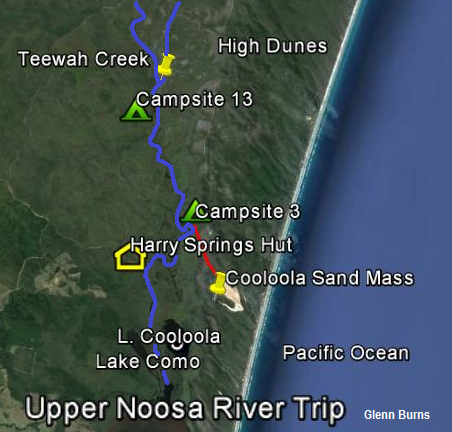 A one and a half hour paddle back to campsite 4 then the 7 kilometre hoof up to the Cooloola Sand Patch (225m). After lunch on top, reverse the whole process. But what a day for it: sunny, clear blue skies with just a vague whisper of a cool autumnal breeze. And my well rested friends were in fine fettle for the longish paddle on the glassy Noosa waters. 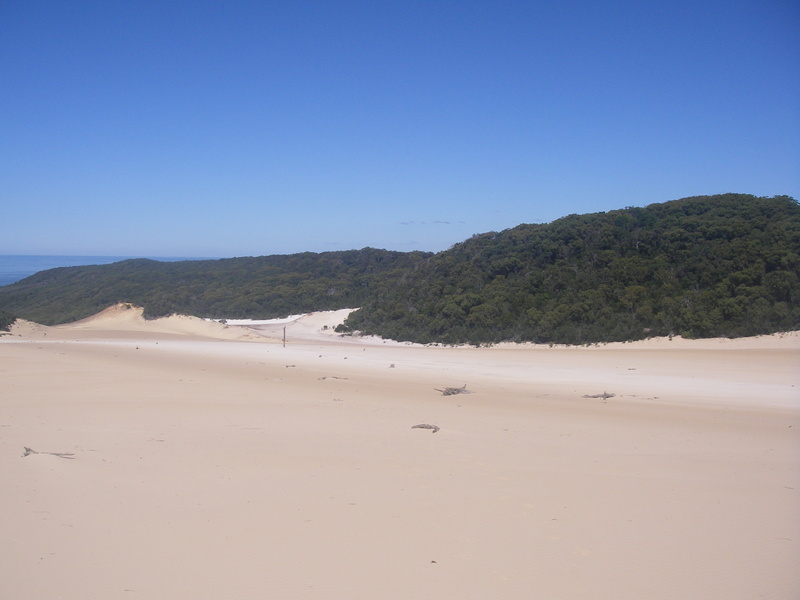 The Cooloola Sand Patch dominates the scenery of this part of Cooloola. Migratory white sands of the patch are derived from siliceous oceanic sands blown up into a giant mobile dune by the predominant south-easterlies after the last ice age (about 6,000years ago). 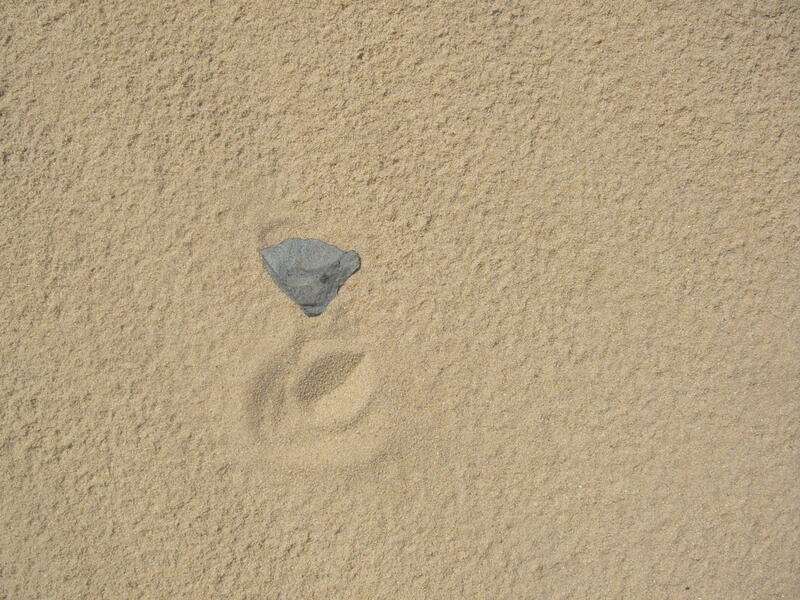 During our wanderings over the sand patch I was lucky enough to spot a small aboriginal lithic flake. Not an unusual find for the sand patch. 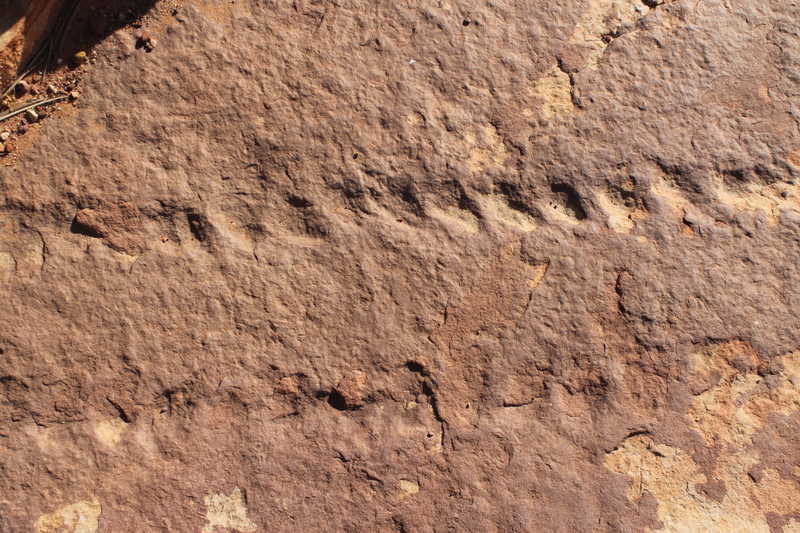 Although I have never found an aboriginal campsite on the sand patch where more artefacts are likely to be found. 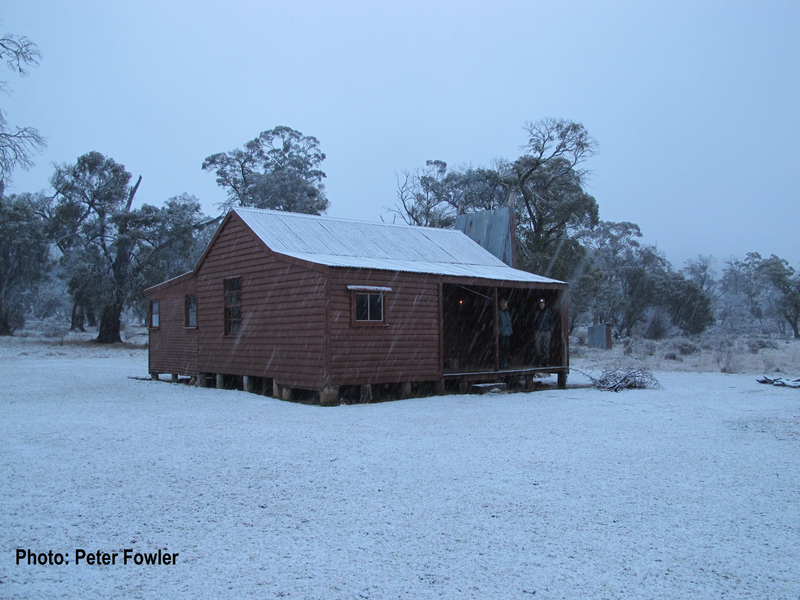 Minor aboriginal artefacts like these flakes can be photographed but should be left in situ. I have been to the Cooloola Sand Patch innumerable times and views from the sand patch never fail to impress. Don’t forget your map for identifying topographical features (Cooroy 1:50k). Directly below were Lakes Como, Cooloola and Cootharaba. 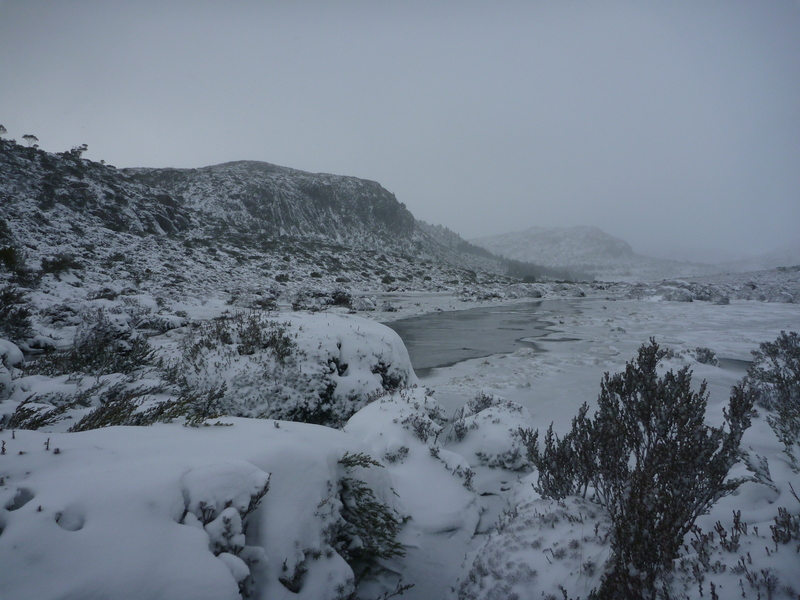 In a sweep from south to our west were volcanic sills and plugs of Mt Tinbeerwah (265m), Mt Cooroora (439m), Mt Cooran (279m) and Mt Pinbareen (346m). 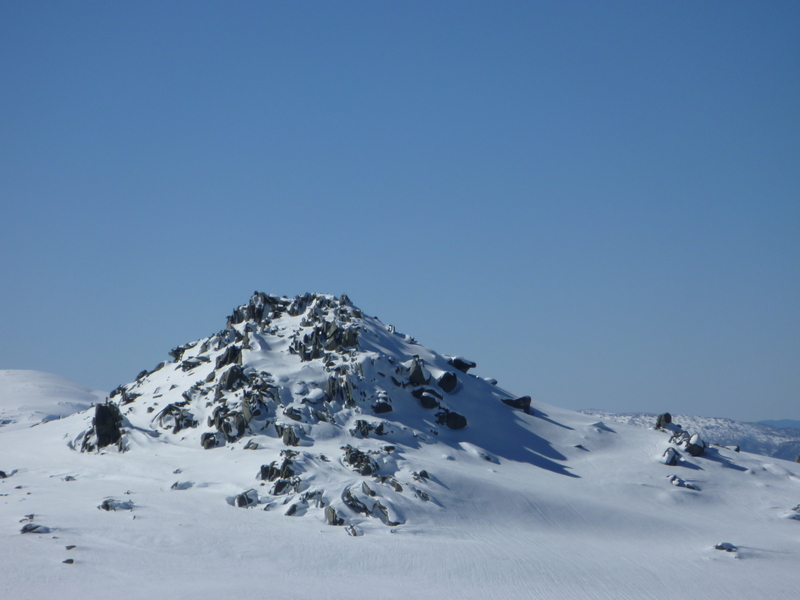 Directly west, the Wahpunga Range topping out at Sheppersons Hill(282m), a vantage point known to all walkers on the Kin Kin Trail Network. And so back to our camp with a sighting of Rainbow Bee-eaters to add pleasure to the haul back. Thursday. We bade farewell to campsite 13 and commenced our downhill run in perfect conditions: sunny cool and still. Past a pair of resident Sea Eagles, past a jolly armada of pink-skinned paddling backpackers and onward to Harry Springs Hut to retrieve our parked vehicles… wheels still attached. Of course, no Burnsian trip is complete without a post paddle feed and a ginger beer; this time at the Kin Kin watering hole on the way out. 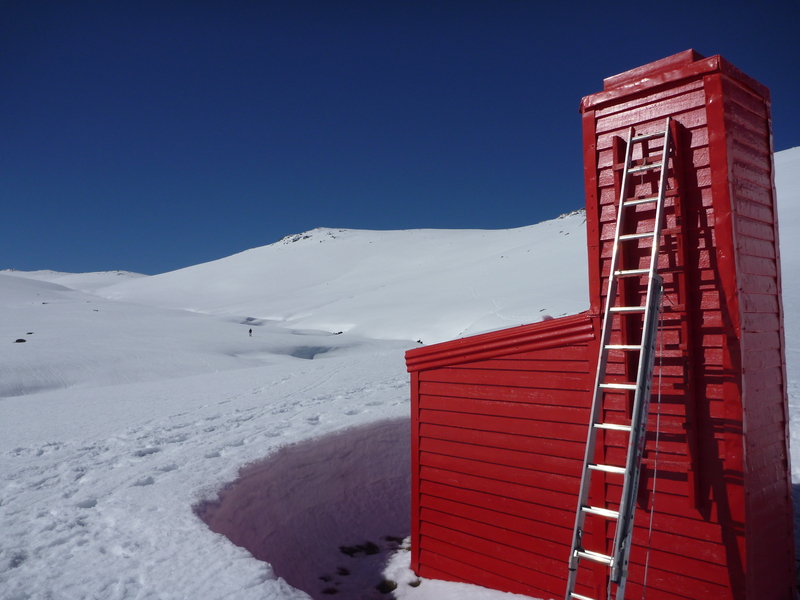 Previous PostLong Plain: Northern Kosciuszko National Park.Next PostThe Walls Of Jerusalem: A Wilderness in Winter.